There’s not much physical preparation for an amniocentesis test. However, if you are having the test before 20 weeks of gestation, having a full bladder will help to support your uterus, so make sure you drink plenty of fluids.2 If your test is after 20 weeks of gestation, it is better to have an empty bladder to avoid a puncture.2 Emotionally, it may be comforting to have someone accompany you to your test. 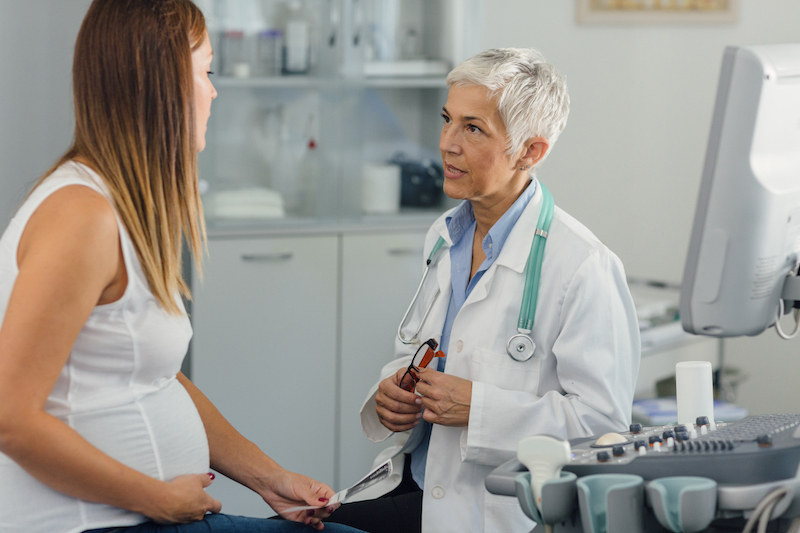 Amniocentesis can be scary, especially if you are worried about the outcome of the test. Having a calming presence may help alleviate some of the stress. REFERENCES: 1. March of Dimes. Amniocentesis. Website. https://www.marchofdimes.org/pregnancy/amniocentesis.aspx. Reviewed May 2017. Accessed November 28, 2018. 2. Mayo Clinic. Amniocentesis. Website. https://www.mayoclinic.org/tests-procedures/amniocentesis/about/pac-20392914. Published November 8, 2018. Accessed November 28, 2018. 3. American Pregnancy Association. Amniocentesis. Website. http://americanpregnancy.org/prenatal-testing/amniocentesis/. Reviewed September 2, 2016. Accessed November 28, 2018. 4. American College of Obstetricians and Gynecologists (ACOG) Committee on Practice Bulletins – Obstetrics. ACOG Practice Bulletin No. 164: Prenatal Genetic Diagnostic Tests. https://www.acog.org/Patients/FAQs/Prenatal-Genetic-Diagnostic-Tests?IsMobileSet=false. September 2016. Accessed November 28, 2018. 5. American College of Obstetricians and Gynecologists (ACOG) Committee on Practice Bulletins – Obstetrics. ACOG Practice Bulletin No. 162: Prenatal Diagnostic Testing for Genetic Disorders. Obstetrics & Gynecology. 2016;162:1. https://www.acog.org/-/media/Practice-Bulletins/Committee-on-Practice-Bulletins—-Obstetrics/pb162.pdf?dmc=1&ts=20181012T2016340336. Accessed November 28, 2018.